The Elder Scrolls Chronicles 2: Soulburst event was supposed to run over 2 months ago. However, due to heavy flooding in the area it got postponed. Organizational blues didn't end there - several players could not make it for the new date, and a lot of players canceled in the last two days. At this point, I'm pretty much certain that "canceling at the last moment" is actually a hobby among a lot of Croatian players. So the larp ended up with two thirds of planned characters - 41 (including 6 organizers) as opposed to the originally planned (and balanced-for) 62. 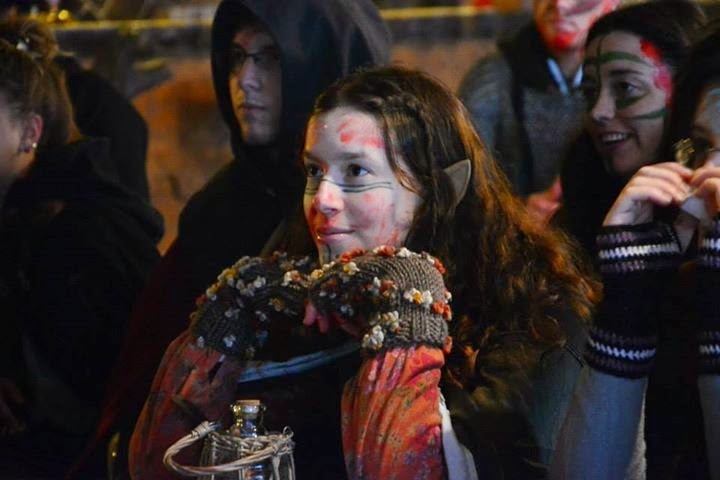 It was still the second largest fantasy larp of the year, after its' predecessor. But when the plot is player-driven instead of NPC-driven, loss of players can hurt the plot significantly, and postponement did kill a bit of hype and excitement. The weather was nice. November Sun's Dusk is of course colder than September Heartfire, but it was dry and at times sunny. The outdoor terrain was hilly - as it is in Eko selo Žumberak - and a bit muddy, but not too bad. Nights were rather colder than a lot of people expected and a bit darker because they were moonless ("Neither of the moons is up! "), but it did fit the theme and in-game location - it was set in the mountainous Cyrodiilic town of Bruma in the year of 2E 582, the same year and timeline Elder Scrolls Online was set in. Actually, as I'm an Elder Scrolls lore buff myself, lore ended up a bit confused. Some stuff that's supposed to happen in the future of the timeline was alive and well in the game, and several elements which should have happened seemed to be ignored. And several character backgrounds which should have been connected ended up not connected. Despite this, I found how players acted in-game to be significantly better and more truthful portrayals than in the last game, which helped with immersion. Great costuming - which was also seen in the last event - continued, and a lot of people looked like something you could actually encounter in an Elder Scrolls universe. We had three non-Croats playing: two from Slovenia, and one from France. This made us proclaim four official languages for in-game use: English (representing Tamrielic), Croatian (representing the local trade language), Slovenian (representing the Ashlander dialect) and French (representing Ancient Breton). Before the larp started, the organizers underwent a massive amount of preparation to decorate and prop the entire larp terrain, in manner which reminded me of Maska Sumraka earlier this year (which was played in the same location). All the previous larps played in Eko Selo Žumberak didn't utilize the entire terrain nearly as well. Also, sign ups were open at that time, where we received our in-game money - and I received a special condition of severe paranoia which I would start the game with, and which would reappear every time I would hear the sound of a thunder (sound effects were played at various times during the larp). 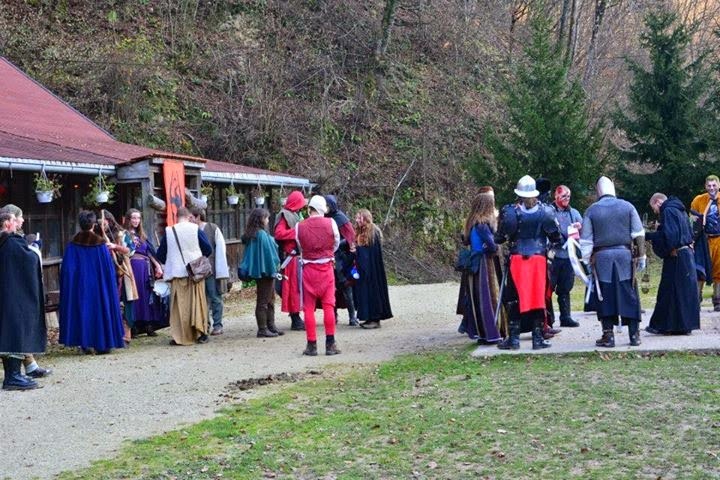 Thanks to those preparations, the larp actually started on time. We started by going to dirty ourselves a bit (since we played survivors of three faction clash interrupted by Daedra invasion), apply some fake blood and then we proceeded with the briefing, which went over some general stuff, and explained some last minute rule changes. That made me one of the bad guys of this larp. Which is important to note - this larp had completely player-driven plot. Organizers kept repeating "this is a sandbox larp", but I find this description problematic because it might seem like a magical buzzword which can mean a lot of things (for more explanation, read this article). But they did define their definition of sandboxiness, which is player-driven plot. A lot of Croatian players are rather new to player-driven plot. 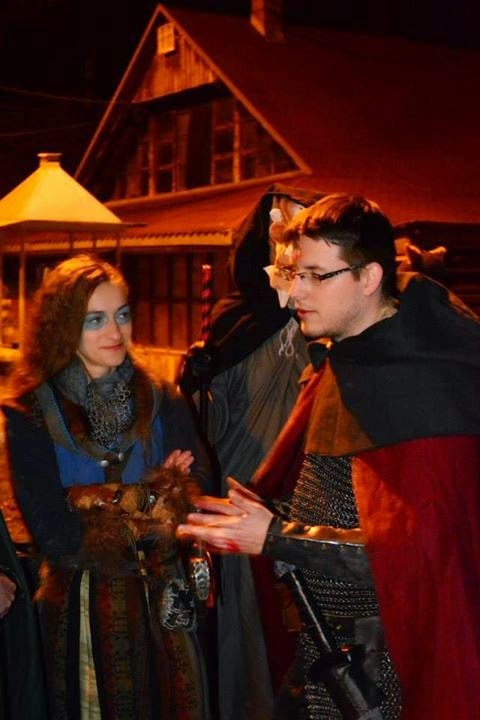 2014 is probably the first year ever where the vast majority of larps were player-driven, but a lot of players still seem rather unsure how to utilize this plot structure and one-shot larp format to the maximum. Together with the fact that several people canceled, this basically made finding other cultists something I haven't really been successful at. One of them was outed, but when I could talk to him he went into hiding, and I never found another one. There was supposed to be 10 Molag Bal cultists, but due to people canceling we were down to only 2 (actually 3, but one player forgot to mark himself and therefore decided not to play a cultist). The game started with refugees finding the town of Bruma in small groups, and being welcomed by the head guardsman and citizens - all of them seeming overly happy and kind, saying Bruma is the safest and happiest place on Tamriel, offering us tours, refreshments etc. This soon became nightmare-ish. 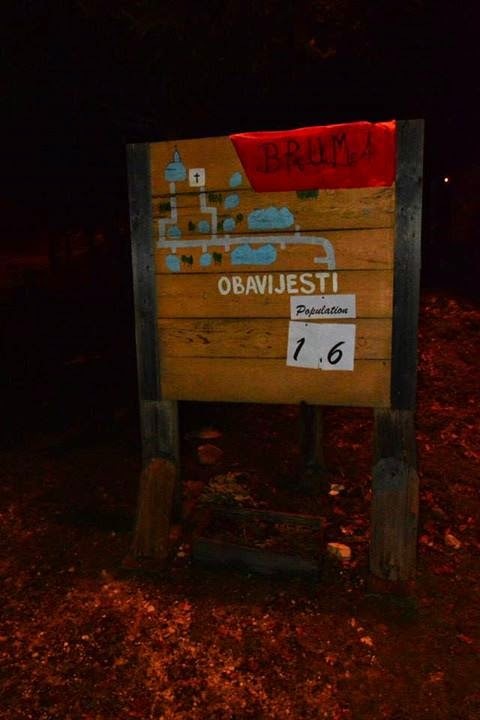 There was a board with population count of Bruma, which kept increasing as the time went on. Characters who came to us as refugees would assimilate into the population, saying how they were always citizens of Bruma. They would accept a job, drink a potion, or get themselves killed and wake up as a new, disgustingly happy and kind citizen of Bruma. As everyone who got murdered seemed to get back as a new, happy citizen with no old memories I worked on a way to end this since I couldn't really spring any plans. But I did use lying and rumor carefully to spread racial hatred, especially between the Ebonheart Pact and Aldmeri Dominion. I also tried to find other cultists, and supported some people to burn down a church of the Eight Divines. My identity as a Hermaeus Mora cultist got revealed to about 10-ish people, but I managed to convince them that I'm on their side. I ended up with some wizards who just finished gathering the items to repair the (awesome-looking) grimoire of a wizard they found earlier, which I read to them - and it contained a secret to the place. 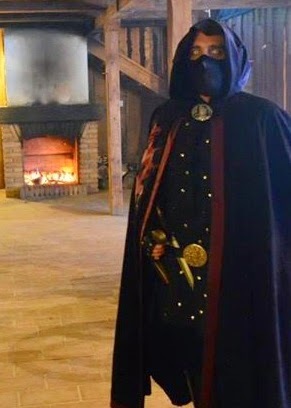 One of the organizers turned out to be the wizard who put a protective spell in place, and with the grimoire in hands his mind got restored to his body. Everyone else who was a "citizen of Bruma" got their memories back, and the wizard promised to teleport everyone out in two hours if they agreed on the location where they wanted to go. All protective spells went down and it was time for the slaughter to begin. I did my best to stoke racial hatred even further, and in the time when the decision was to be reached, the dead outnumbered the living. The wizard prepared a few people to save, then walked out of the room, mentioning in passing that he doesn't really know how to teleport people. Brilliant ending, and something that most players should probably consider in the future. But we did learn about some Dwemer tunnels, which would help us escape the Daedra-surrounded city. And thus the larp ended. 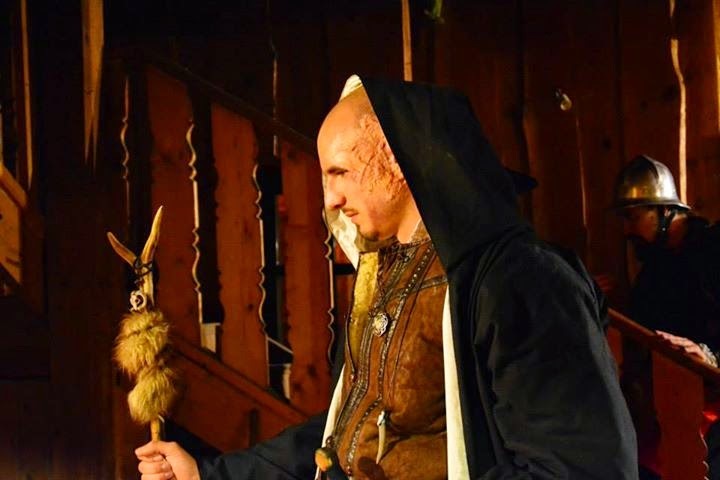 Near the end was a rather bad fight between organizers and one of the players due to rules/acceptance of cutting one's neck, which soured the ending somewhat, but from the plot perspective the ending was great - mass slaughter based on empty promises of a wizard can be a very powerful message morally. I experienced several scenes which were quite memorable. Being calmed down by others when my paranoia struck. The afore-mentioned murder of the captain. The grimoire thing. Hanging out with the last few Aldmeri Dominion characters, who - after nearly all of them got slaughtered - received a death blessing from a priest when they decided to exact revenge on Nords and thought they're going to their certain deaths. Also realizing a hidden Molag Bal cultist was near me when I was with those last few Aldmeri characters, and that he was unnoticed by a lot of people who searched the house (amazing stealth skills). Reading and spreading rumors at the bar, using a variant of The Bathroom Wall metatechnique. And hanging out with players and awesome Eko Selo staff after the game. Some of the methods organizers tried (like trying to make us feel panic in what was probably the safest place around, although likely a gilded cage, or pushing war accusations on us) were likely less effective than they intended. Others (like the number of citizens going silently up, and everyone being overly friendly) were creepy and quite effective, giving this game some slight horror undertones. 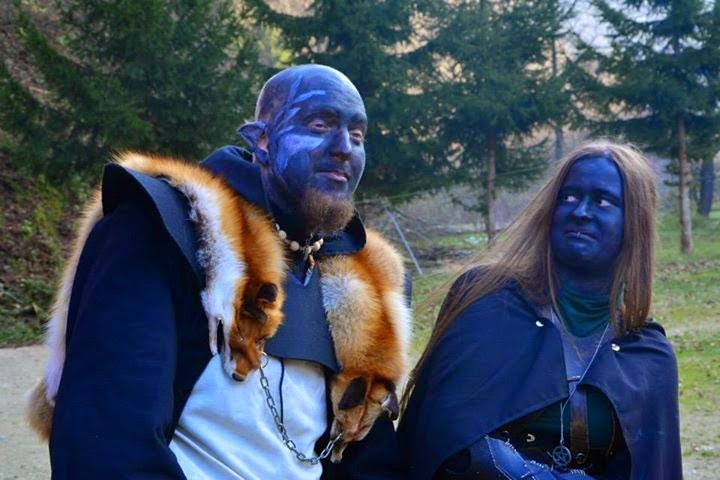 Some people mentioned that the previous TESC larp was better for them. In a way, it also engaged me much more than this one because my character had way more to do. However, this event made a lot of visible organisational improvements compared to the past one, and despite several issues it had I thoroughly enjoyed it and for me it was more immersive. 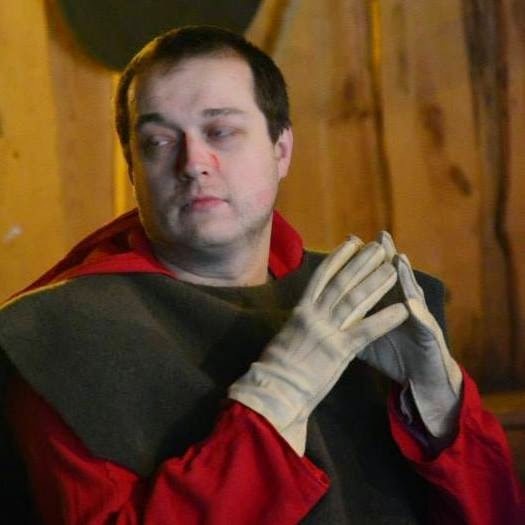 Maybe it would've been a better event if it was run when and as it was meant to - but regret will not help anyone, and regardless it was a fun larp. Several organizers got a bit burned out or disappointed due to various reasons. A message to them - and everyone else running larps anywhere: don't stop. Photos in this article have been taken by Joško Frančeski.